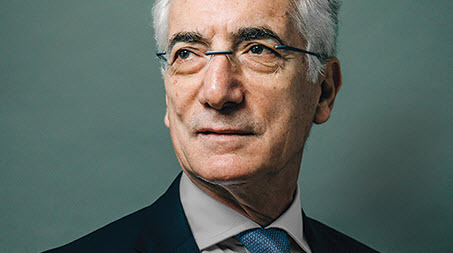 One person who is determined to not only debunk some of the misconceptions, but also prove that impact investing in its own right can develop into a multitrillion-dollar market, is Sir Ronald Cohen (pictured). The renowned investor co-founded global investment giant Apax Partners while only in his mid-twenties. Since retiring at the age of 60 in 2005, Cohen has spent a large part of his time trying to ignite an impact investing revolution, and currently holds the role of chairman for the Global Steering Group for Impact Investment (GSG). "The first misconception is that impact can't be measured, and the second is that any sort of business or decision making that is based on impact rules will ultimately lead to lower returns," Cohen told PitchBook in a recent interview. "In fact, I believe that measuring impact is a lot easier than measuring risk, and have seen that impact-related investment can not only match traditional returns, but in many cases it can by far exceed them." While this narrative is gaining traction and a considerable amount of column space, it is by no means undisputed. Recent research from Renaissance Capital cited in the media, for instance, suggests that the relationship between environmental, social and governance (ESG) scores and financial performance is poor at best and, at worst, does not exist. Another argument suggests that the heightened interest just masks the fact that impact investments perform like every other investment, with some achieving their targeted returns, some missing the mark and others exceeding expectations. But according to Cohen, at least, the scepticism is due to a somewhat dogmatic approach by traditional practitioners. "Many people have the notion that optimising risk and return is sacrosanct, and therefore refuse to even contemplate any alteration to the system which might affect their two dimensions of the decision-making process. "The reason I am putting weight behind this is that if we can apply the usual tools of financial analysis—such as price-earning ratios and return on equity—on an impact-weighted basis, then we will have the most versatile set of tools to be able to make comparisons between companies. This is a huge, but totally achievable goal." Another aspect that will help address some of the existing misconceptions is agreeing a clearly defined playbook as to what actually constitutes impact investing. Consensus that it is investing under the umbrella of the UN Sustainable Development Goals has been gaining traction, and this currently appears to be the most commonly agreed-upon definition. But, according to Cohen, it does not go far enough. "We need to get investor consensus, and are building a framework, which we are currently discussing with 12 very large global investors. During the next year, we will bring together our taskforce with the Impact Management Project, which accounts for an additional 2,000 practitioners." The consultations should be completed by the end of next year, and Cohen believes that a charter of agreed principles can be in place and ready for use by 2020. This, Cohen believes, will ultimately lead to an impact ecosystem that has the potential to cover all major assets classes and create a multitrillion-dollar market within the next 10 to 12 years. "This is not a dream. If you look at the potential application of agreed impact principles across all asset classes, the numbers are absolutely huge. It is not a stretch to imagine that in a few years' time a small percentage of the public markets, government and corporate debt, private equity and venture capital will all be investing under the agreed impact principals. So, if you add it all up, we are talking about tens of trillions, perhaps $30 trillion by 2030." Whatever size the impact market will ultimately grow into remains to be seen, but what is clear is that it will need to apply its principles across the global economy, which has been in expansion mode, generally speaking, for the last decade. This will of course not go on forever, and a downturn in investment activity—which might well see a recession hit several of the G7 countries—is something private market investors are already preparing for. For Cohen, when asked to wear his private equity hat and evaluate the current state of play for investors, it's almost 'business as usual'. "We all know financial markets are cyclical and it's not a question of whether there will be a downturn, it's a question of when. But I don't really expect a vastly different picture than we saw in previous downturns. So, the clever thing to do is to raise the money in the good times, to invest it carefully and be ready if there is a drop in valuations of attractive companies that are beginning to feel the stress of a downturn. "Ultimately, some will suffer and see themselves stuck with a portfolio that needs a lot of refinancing, but there will also be those who do extremely well in a downturn." It is undeniable that impact investing is making waves, with some even believing that in the not too distant future it will dominate investors' perceived notions and become the new normal. But, in order for this to happen, practitioners will need to prove that it can help solve inequality and large-scale societal and environmental challenges, while delivering market-rate returns (or better). Said Cohen: “If we want to continue with a market-based system which has led to huge social progress and an increased level of wealth relative to other historic times, we will have to address the challenges we face, and we can do so only with new approaches and solutions to these problems. "The ongoing tech revolution has laid the foundation to bring about a seismic shift and put us on the road to impact economies, where decisions are made on the basis of risk, return and impact." Interested in impact investing? Check out our analyst noteencapsulating recent trends.